Effective preparation in BBA exam is possible only when the candidate sources proper BBA study material. No matter what method of study they are using, the candidate has to be equipped with the latest editions of all the good books out there. Quality BBA Study Material is quintessential for the students who prefer to study at their own pace and are self-starters. People engaging with BBA entrance coaching centres can also procure this material in addition to the BBA Study Material they receive from their BBA entrance coaching centres. It is important to note here that not all BBA Study Material is required in hard copies. 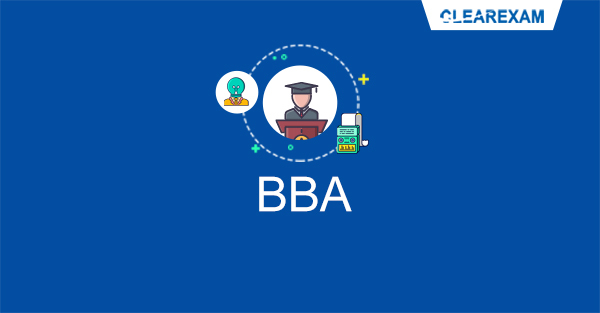 These days the BBA Study Material 2019 is also available online through websites providing paid content. This BBA Study Material 2019 can be in the form of short and abridged law notes, mock tests, previous years question papers, books or any other relevant articles. The following books form an important part of the BBA Study Material 2019 needed to crack the exam successfully. Of course, this is not an exhaustive list whereas it is a list of a few books which must be covered by the candidate to get a strong hold on their basics. BBA/ BBM Entrance Exam by Lal & Jain: Popular across all the students looking to pursue BBA or BBM in the coveted colleges, this book is an important part of the BBA Study Material. Self Study Guide BBA/ BBS/ BBM Entrance Exam (Arihant): Another quintessential book for all the BBA aspirants. It covers the entire BBA entrance exam syllabus in detail. Comes highly recommended by a plethora of the institutes offering BBA entrance coaching. Objective English for Competitive Exams by Edgar Thorpe (Pearson): Another bestseller, it caters to all the different types of English questions asked in the BBA entrance exam and forms a must have in the BBA Study Material. Word Power Made Easy by Norman Lewis: This book comes highly recommended for BBA Study Material no matter how great command you may have over the English language. This book is the bible for tackling the English section in many competitive exams. Quantitative Aptitude for Competitive Exams by RS Agarwal: This book, ever since its release in 1989 has made a special space in the study materials for different competitive exams. The book outlines a gamut of different concepts and helps the students clear their problems. A Modern Approach to Logical Reasoning by RS Agarwal: The book will give you a basic understanding of different topics. BBA Study Material usually includes this book along with other verbal and non-verbal reasoning books. I feel that if a student strategies and plans out their study calendar smartly, they can crack this entrance exam in one go without having the need to drop one year. The candidate should source all their BBA Study Material carefully and start reading through all of it. They should take their BBA entrance coaching centres seriously and not miss any classes so that they cover the BBA entrance exam syllabus properly. Prep for any entrance exam is similar to a roller coaster ride where at times you would want to leave the preparation in its entirety and just pursue something else since everything seems insurmountable. But if you are determined enough then you don’t have to worry. Be sincere and dedicated in working towards your goal, study hard and study smart, your result will undoubtedly show all the efforts you have put in!